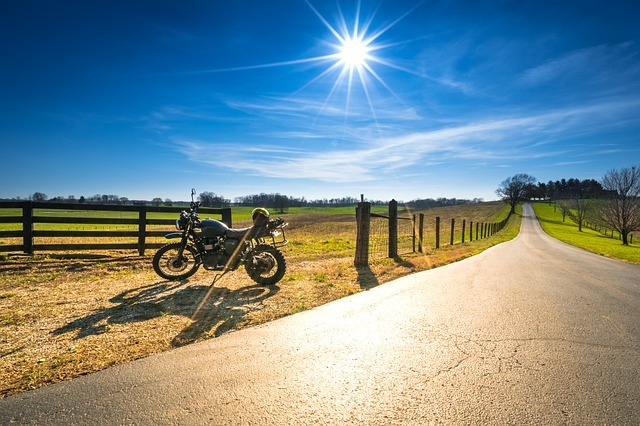 The cost of motorcycle insurance is dependent on many things, some of which you can control, and some you can’t! Read on to learn about a few factors that influence insurance premiums, and what you can do to keep your costs low. Drivers under 25 will usually see higher premiums because they have less overall driving experience, and as such, are labeled as high risk. If your driving record is wrought with tickets and collisions, you will most definitely see your premium go up. Insurance premiums are built on risk, and having lots of traffic violations increases your risk level. Insurance companies usually offer some form of no-claims bonus if you haven’t made a claim for a certain period of time. The type of bike you ride can also have an effect on your insurance price. Classic bikes with hard to come by parts may mean higher premiums. Keep in mind: if you customize your bike in any way, you need to let your insurer know as this may affect your premium; even worse, failure to tell your insurer could result in a future claim being deemed invalid. Depending on theft and accident rates in your area, your insurance costs may fluctuate. Cities are usually more expensive than rural areas for this very reason. Your ability to secure your bike also plays a factor. If you have a locked garage, you’ll probably see a lower price than someone who has to leave it unprotected on the street. There are different levels of coverage you can purchase for your motorcycle. Some policies will only cover damages to other parties, while others will cover damages to you and your bike (even if the accident was your fault). Chat with a broker to ensure that you are getting the right coverage for your needs! You can also lower your cost by opting for a higher deductible. Take a safety course. These courses increase your experience as a driver, and can sometimes be used to clean up any spots on your driving record. Switch coverage for the winter. If you’re planning on parking your bike permanently for the winter, you can decrease your coverage and pay less. Just be sure you remember to switch it back come springtime. Get quotes from multiple places. Make sure you shop around to find the place that will give you the best service and price! If you’re in the market for motorcycle insurance, contact the team at Capital Insurance Brokers. We offer personalized coverage at competitive rates.